The threatened free City Connector bus has been thrown a lifeline, with city councillors determined to keep it rolling in the face of proposed funding cuts. Adelaide City Council last night unanimously agreed to save the City Connector bus from cuts in the council’s 2019-20 budget. The motion – which was originally moved by area councillor Robert Simms – passed after central ward councillor Simon Hou put forward an amendment to protect the bus regardless of State Government funding. InDaily last month reported the State Government was considering halving its funding contribution to the City Connector service. The service is projected to cost the council $915,000 next financial year. Councillor Hou’s amendment calls for the council to investigate “alternative routes in consultation with the community and funding measures to continue with this vital service”. Hou said the connector bus is an important service, and the council needs to find a way to fund it. “I want to keep the service, but how to run the service. It’s the how,” he said. A State Government spokesperson previously told InDaily the Government was working with the council to assess whether parts of the City Connector bus route that replicate the free tram network in the CBD are “the best use of taxpayer and ratepayer money”. The service, currently co-funded by the State Government and Adelaide City Council, runs two loops – an inner-city loop and an extended loop around North Adelaide. “It began, as many people will remember, as a 10-seater Toyota that was damn uncomfortable and hot in summer, but it grew and grew and grew,” said north ward councillor Phillip Martin. 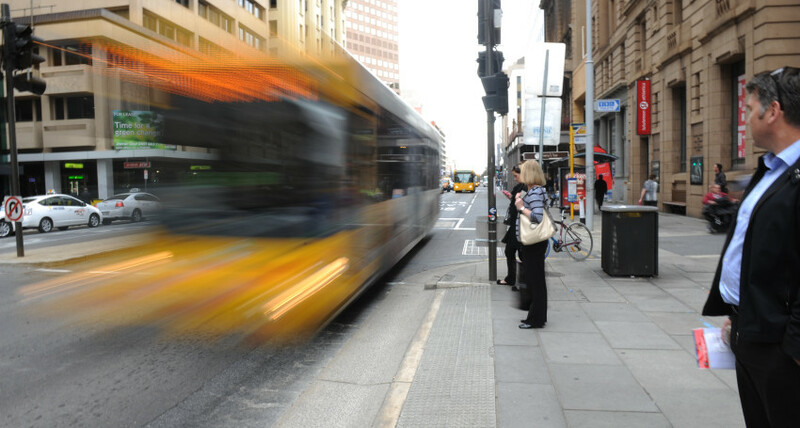 Simms said the proposal “calls on the state government to step up, because they have been cutting bus services across the state and I don’t want to see that in the city of Adelaide”. “I don’t want to see them throw our community under the bus,” he said. Simms said administration had provided figures showing one million passengers per year use the connector bus, and he stressed the importance of keeping the service free.